By subscribing you are instantly eligible to earn Honeycombs, and your first month as a subscriber gains you double Honeycombs (among other rewards!) 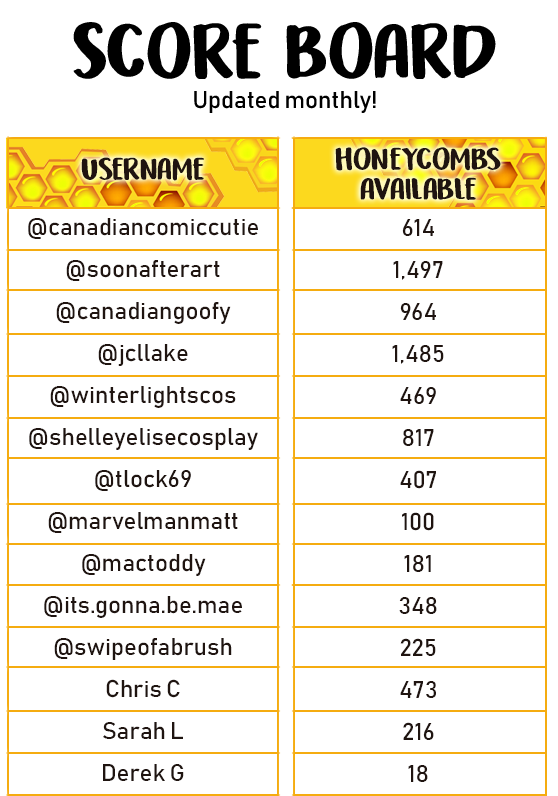 Keep track of your Honeycombs on the score board above, updated monthly! Honeycombs expire on the last day of the last month of your subscription, unless otherwise negotiated. 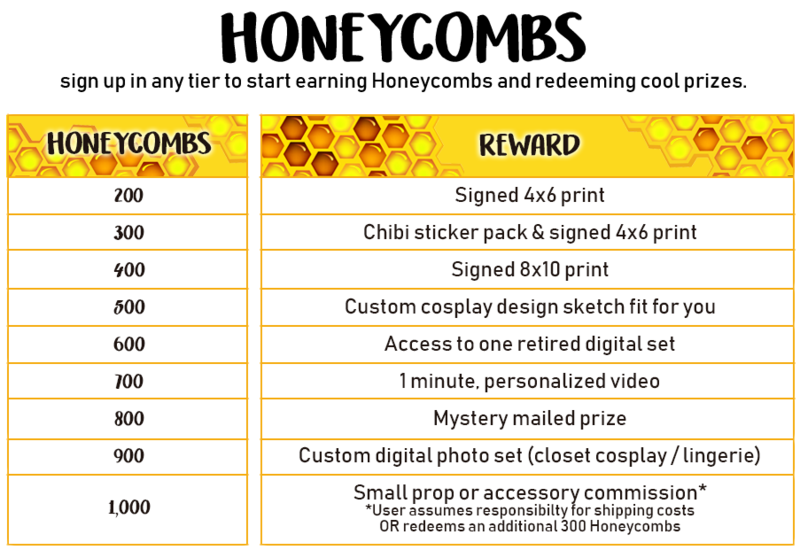 Use the form at the bottom of this page to redeem your honeycombs for the rewards listed below. Indicate what you would like as your reward. ie: what print, what kind of sketch you want, the prop etc. If more info is required, you will be emailed.